Today we continue our books of 2017 recap. Today we recap my top 5 picks. If you missed it, you can check out books 10-6 here. Can you develop leadership? Josh sheds some light on the age-old question of “Are leaders made or born”. In a very practical way he identifies exercises that will work you through the process of Understanding Yourself, Leading Yourself, Understanding Others, Leading Others. The word “Decide” actually means to figure out what you’re going to say “No” to. This book helps you figure out how to do a great job saying No. This is the book to help you deal with Right vs Right decisions. Most business decisions are Right vs Right but we frame them as Right vs Wrong which makes them impossible to solve. This one should stay on the bookshelf. This book changed my habit of getting meaningful work done. I have carved out time every month to isolate myself and my thinking on particular projects. The productivity improvement has been astounding. If you are a leader or hope to become a good leader, this is a must read. When I finished I had over 50 pages of notes! We’re reviewing our greatest hits over the next few posts. Today we’re looking at my top book of 2017, starting with picks 10-6. I think Bill takes the lessons from Strength Finders and puts them into a very practical format for taking your natural strengths and getting better at them but not allowing them to get in the way. Is compassion better than empathy? Bloom seems to think so and makes a really good case. Empathy will get you into trouble as much as it helps. Debunking the myth that creativity is somehow related to genius and comes to you in a flash. It doesn’t. Like anything else, it takes hard work, dedication and commitment. Ashton gives some great practical advice and stories. Power, control, worry, change, fear, mistakes, resentment, expectations: these topics and more are covered and shown how mentally strong people deal with these issues. Hard work, dedication, success, won’t make you happy. Being happy makes you better at hard work, dedication and leads to more success. Essential understanding. While visiting the middle east I observed some of the stone mile markers left by the Romans when they were mapping out and connecting the known world. Physical mile markers are one thing. Life mile markers are even more fascinating. The interesting thing about life mile markers is that when you look back, many of them are now clear when they were totaling confusing at the time. And, the more life you’ve experienced the more mile markers exist. The first mile marker of my career appears around the age of 12. My grandfather taught me how to survey and I worked with him and my cousin as we did the layout work for a subdivision. That marker started me down a path to my engineering degree. After ten years in the engineering business, I hit another mile marker. I say my first microcomputer. That mile marker may seem obvious now but at the time no one knew Apple or Microsoft and the IBM PC was yet to be invented. But that mile marker headed me down another decade in the software industry. 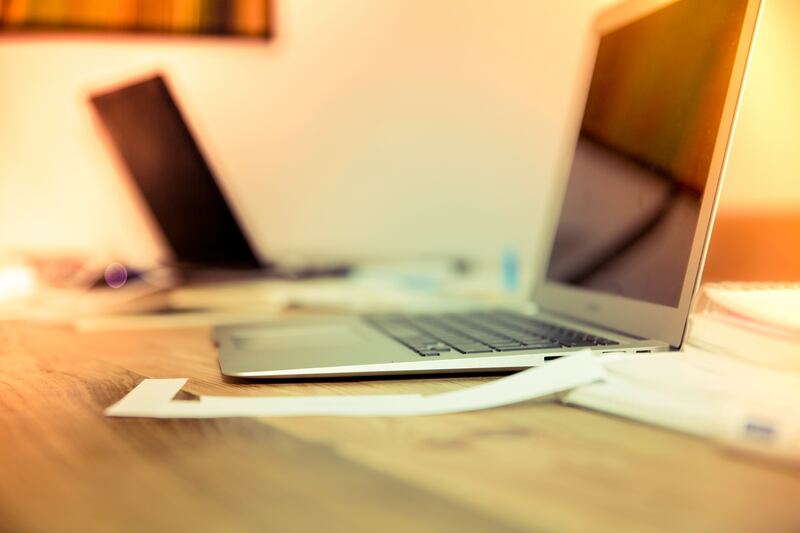 There had been other mile markers along the way that lead me to depart the software industry and step into the Leadership Development Consulting business where I have spent my time and talents over more than two decades. But that mile marker had nowhere near the clarity of the first two. It wasn’t very long after starting the business when I reached the point of no money, no clients, and no prospects. As my wife and I faced this moment that felt like complete failure she asked me “Are you suppose to be doing something else?” My answer was very clear to me. No! I felt I had been called to this work. It was what I was supposed to do! After this rough start, my career began to get on track and I’ve enjoyed years of satisfaction. Some years after that moment the framework and model that explained it all was identified by Bob Bufford in his book Half Time. Bob’s book identified a pattern of survival, success, significance. That pattern immediately made sense to me and the mile markers were then much clearer. I can’t count the number of clients that I’ve helped understand this concept. By all measures, they were being incredibility successful but seemed to be missing something in their lives. They needed to move from success to significance. 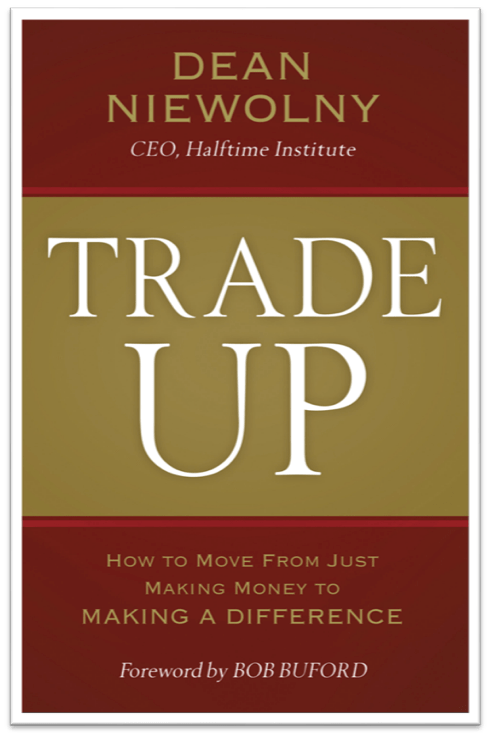 Dean Niewolny, now CEO of Halftime Institute, tells a personal journey from success to significance in his newly published book Trade Up. In the book, Dean reaches that moment when all the success in the world doesn’t satisfy. It requires moving beyond success to significance. In his journey, he shares some steps along the way that, looking back along his mile markers, have become clear to him. His sharing of those steps may help you find your path to significance. Check it out. 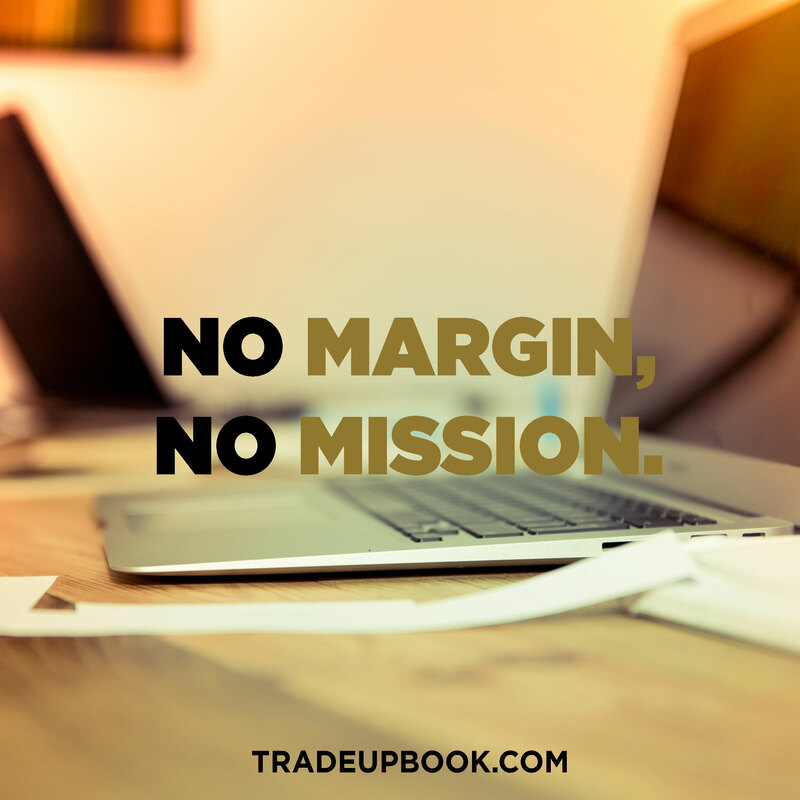 Trade Up: How to move from just making money to making a difference by Dean Niewolny. I’m just finishing the book American Icon: Alan Mulally and the Fight to Save Ford Motor Company by Bryce Hoffman. I found the book very well written and a good solid history (brief) of the Ford Motor Company but really focused on Alan Mulally and his nearly eight years leading Ford as their CEO. Being around and occasionally consulting in the auto industry, I knew many of the stories that Hoffman shares in his book. But when you start stringing the stories together and when they’re put into the context of the darkest days of the American auto industry it becomes a great story about leadership and teamwork. Mulally displays several characteristics of great leadership but the two most powerful are humility and endurance. If you look in my book Trust Me you’ll find these two characteristics as the book-ends of eight leadership styles of great leaders. If you look in the Jim Collins book Good to Great (written many years before this story occurred) he also points out what he labeled the “Level 5” leader exhibiting humility and a very strong will (endurance). Mulally seemed to possess and demonstrate these characteristics in spades. 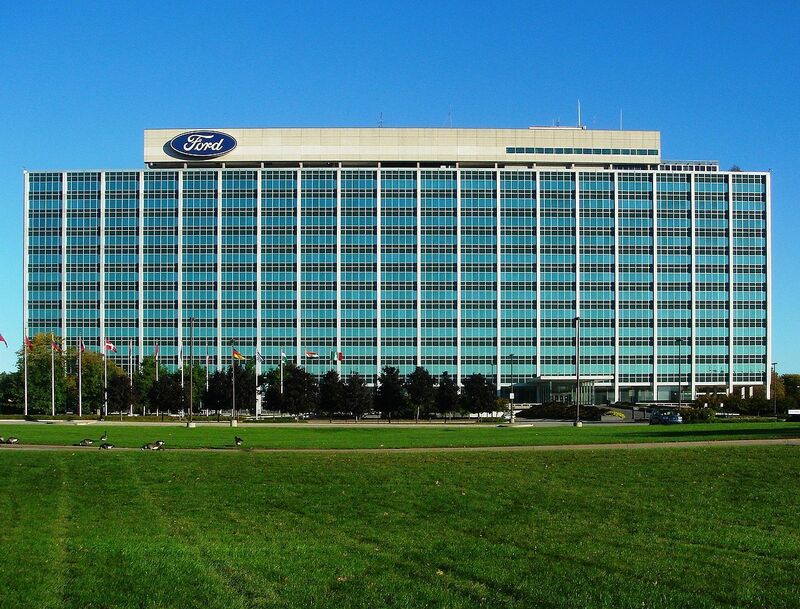 Mulally always seemed to have a smile on his face, openly greeted any member of the Ford team regardless of their level in the organization and demonstrated a true desire to learn from their point of view. This was so contrary to the general level of behavior from the auto industry leaders that it often took people a long time before they actually believed that Alan was genuine in his desire to learn from anyone. I have seen this single characteristic move leaders into a higher class of leadership through the years. Not only do they actually learn by being genuinely open to others, they develop a dedicated organization around them that strives to accomplish the vision just because they feel the leaders has listened to and understood them. There are many times in the story when the economy is falling away faster than the auto company can react even though they are cutting deeper and faster than the industry had ever seen. These were terrifying and crushing days. And yet Alan would constantly check his belief in the process and the goal by always accepting the reality of the situation and then, if he still believed they were on the right track, bear down and continue to pursue the expected results even with the entire industry collapsing around them. This was not Pollyannaish and there were many times when failure was at their doorstep but they endured through unbelievable pressure. I’ve had a few of my clients suffer through major changes in their industry and the struggle is real. Especially if like Ford, they had been a successfully run businesses for decades and even centuries. I believe there are two very critical conditions that can give companies their best chance of survival, great leadership and pressure-tested teamwork. In my next blog I’ll talk about some of the team work I discovered in Hoffman’s book and I’ve seen in the market place. What do you think? Can great leadership save a company or are market conditions just too much for any leadership style?